Der Artikel Apostle Of Solitude: From Gold To Ash wurde in den Warenkorb gelegt. 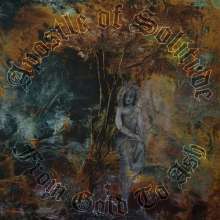 Die Doom Metal-Band Apostle of Solitude hat mit »From Gold to Ash« ihr kommendes Album angekündigt. Das vierte Album des Quartetts aus Indianapolis wird via Cruz Del Sur Music erscheinen. »From Gold to Ash« wurde bei Russian Recording in Bloomington (Indiana) von Mike Bridavsky produziert. The doom bell tolls roughly every four years for Indiana’s Apostle Of Solitude. Formed in 2004 by former The Gates Of Slumber drummer Chuck Brown, the band followed their 2008 »Sincerest Misery« debut with »Last Sunrise« in 2010, then, in between two splits and a demo, released »Of Woe And Wounds« in 2014, which also served as their first album for Italy’s Cruz Del Sur Music. Just in time, Apostle Of Solitude greets the legions of doom in early 2018 with their fourth studio album, »From Gold To Ash«.